The purpose of Kimball Lutheran Childhood Development Center is to serve the mission of our congregation; "teaching all people and sharing the peace and love of Jesus within our community". Our preschool has a long, rich Kannapolis history, it was founded over 20 years ago by retired educators from Kannapolis City Schools. In the history of this community we do our best continue to strive for educational excellence as we teach and love children of this community. 704-933-4101 to make your appointment today! Check out our new one of a kind playground. In May 2018 KMLC Preschool received a Charles A. Cannon Trust grant to upgrade our playground with a brand new natural playground space. 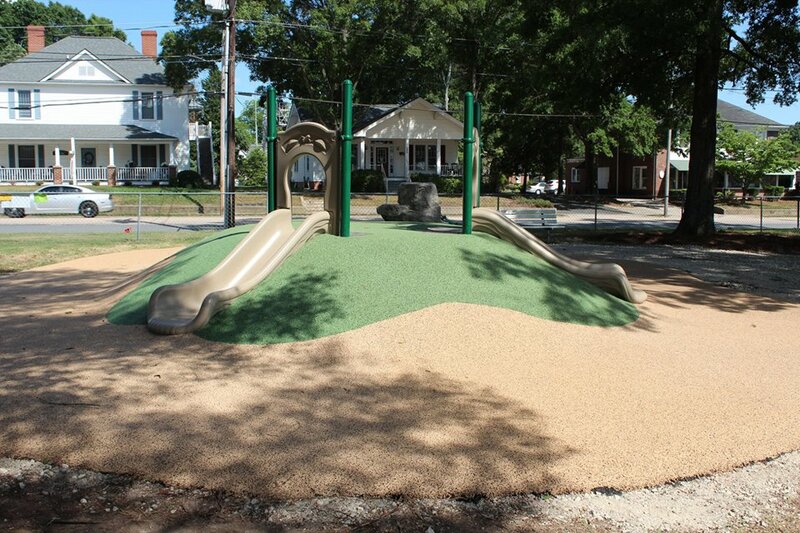 This playground is the first of its kind in the Cabarrus/Rowan county areas. With the addition of this natural play-space, we are able to help more children with disabilities as well as have a beautiful place to play that incorporates our wonderful large oak trees. Please come and check out our new playground and come and help us bless it as well in our 5th Sunday Worship service on July 29th, 2018 at 10am. 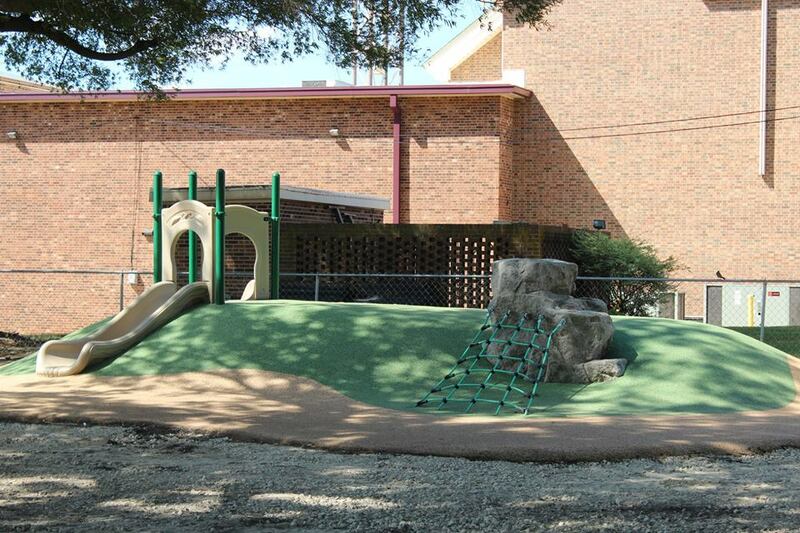 We invite our community to come and join us in blessing this new and improved play space. To help meet the needs for a high quality early childhood education facility; to enhance the role of Kimball Lutheran Church as an integral part of the community. To provide opportunities to meet and work with other parents and staff members who share the common concern - the needs and development of their child; to provide high quality early childhood education; to provide an understanding of child development through a planned parent program based on their needs and interest. Enrollment is open to all children regardless of race, nationality, creed or special needs who may benefit from our program. Parents are invited to contact the church office at (704)-933-4101; ask for information regarding preschool enrollment. We also invite parents to become an active part of the school and their child's development.